Molly’s master’s degree in counseling coupled with her love of humor and the college experience allows her to bring compassion, empathy, and lightheartedness to each student appointment. An advocate of student autonomy, Molly likes to make sure that every student she meets with has a firm understanding of degree requirements, pathways to success, and realistic goal-setting. 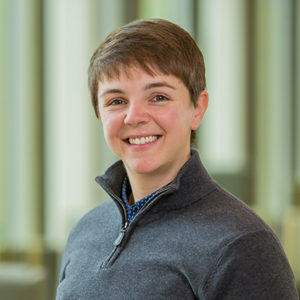 In addition to academic advising for nursing and pre-nursing students with last names A-K, Molly teaches the Wisconsin Experience Seminar, works with the nursing-affiliated student organizations, and coordinates the School of Nursing’s summer immersion experiences.